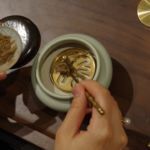 Chinese Traditional Cultural Lifestyle: when today’s Europeans put themselves in the shoes of ancient Chinese scholars! 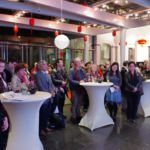 From November 3rd to November 29th, the China Cultural Center in Brussels is hosting an exhibition that presents the different pastimes of Literati in ancient China. 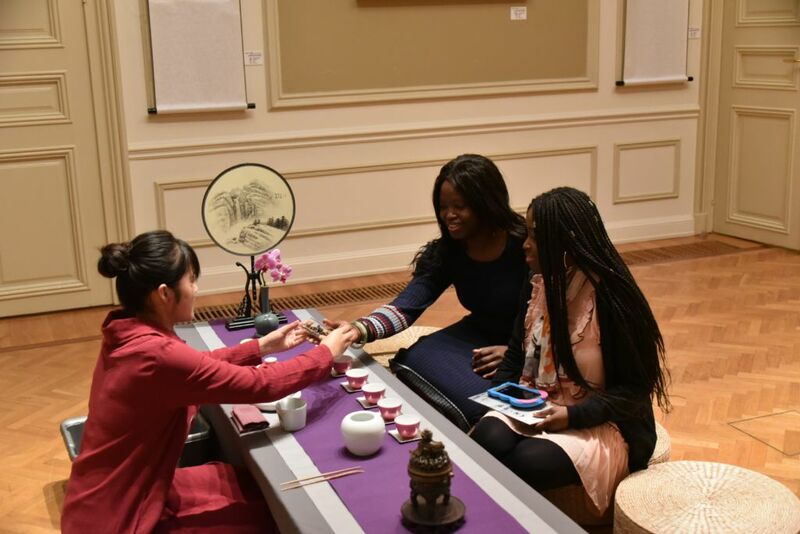 Activities and workshops also gave visitors the opportunity to dive into ancient China and get a glimpse of Chinese traditional cultural lifestyle. 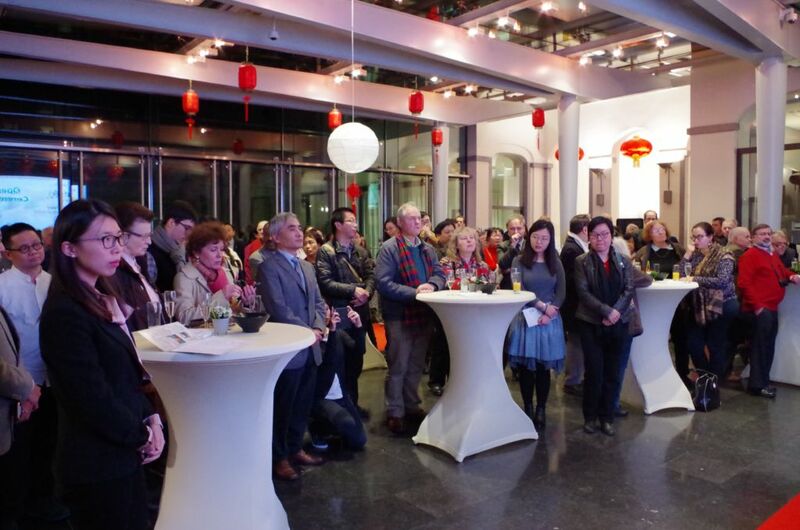 On November 2nd, the room was fully booked for the opening of the latest exhibition of the China Cultural Center in Brussels, “In Pursuit of Harmony”. On this occasion, the Center had the honor to welcome Mr. Li Jianmin, Minister Counsellor of the Mission of China to the EU; Mr. Xiang Shihai, Cultural Counsellor of the Chinese Embassy in Belgium; Mr. Tan Shu, Director of the China Cultural Center in Brussels, Mrs. Liu Yang, Deputy Division Director of the Network of International Culturalink Entities; Mr. Qiu Ting, Professor in Chinese Painting of the Chinese Central Academy of Fine Arts, and Mrs. Zhao Jing, Curator of the exhibition and director of the Wu Zuo Ren International Foundation of the Fine Arts Young Curators Fund. Mrs. Zhao Jing and Mr. Qiu Ting were then invited to address the audience. They both expressed their wishes for the exhibition and activities: they hope to bring traditional culture legacy into our contemporary art of life, and to offer a deeper insight into the relationship between nature and mankind. 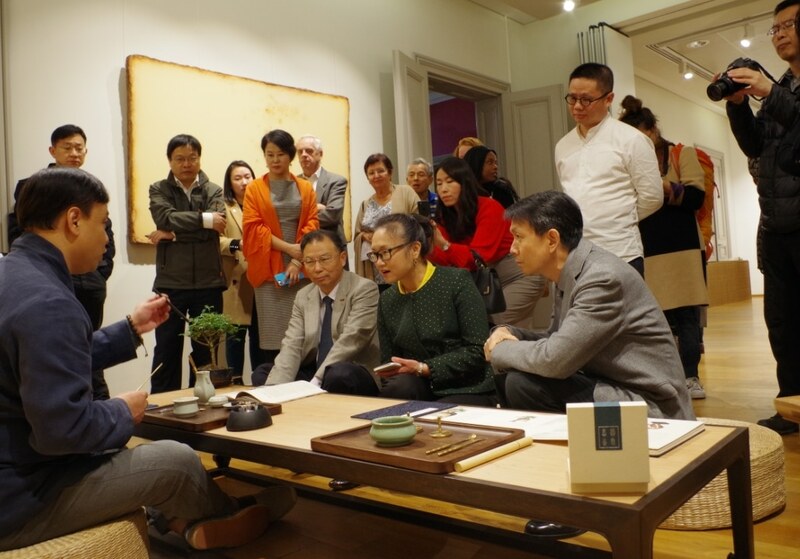 To conclude the opening, Mr. Xiang Shihai then expressed his happiness to see this kind of exhibition taking place in Brussels, “because that kind of occasions to discover ancient Chinese lifestyle and enjoy interactive workshops is very rare nowadays”. The exhibition “In pursuit of Harmony” features the theme of four seasons with the painting and calligraphy works from the leading Chinese artists including Qiu Ting, Chen Shuxia, Zeng Jianyong, Zhao Jinhe, and Li Zhongguo. 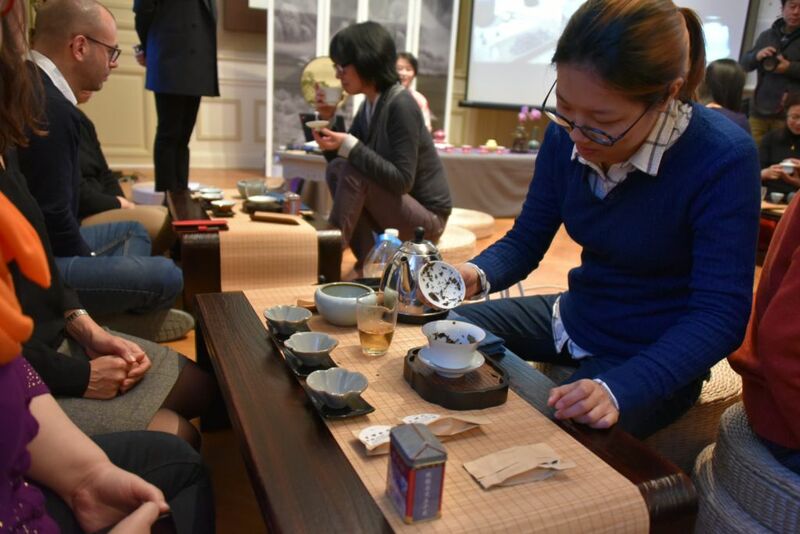 On the first floor of the Center, visitors can also find a very interesting setting of cultural creative products with the theme of Chinese landscape and tea culture. 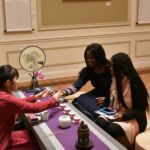 After the speeches, visitors enjoyed a cocktail reception as well as tea and incense demonstrations. 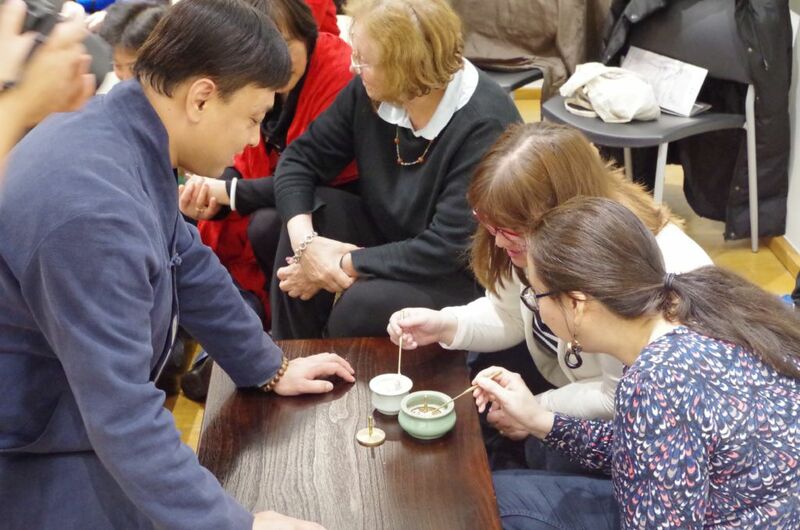 Everyone was thrilled to participate to this evening and certainly came back home with sweet and perfumed memories, and a broader knowledge of Chinese traditional lifestyle. 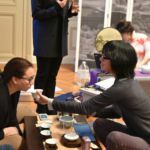 During the first days of the exhibition, workshops and lectures were organized and offered perfect opportunities for the participants to get a glimpse into Chinese traditional lifestyle. 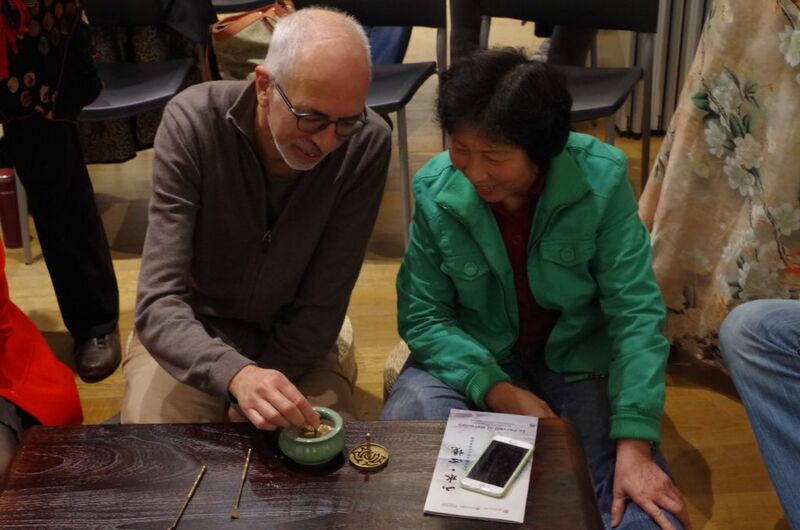 Each event was fully booked, showing the high interest of the Center’s visitors towards the topic! 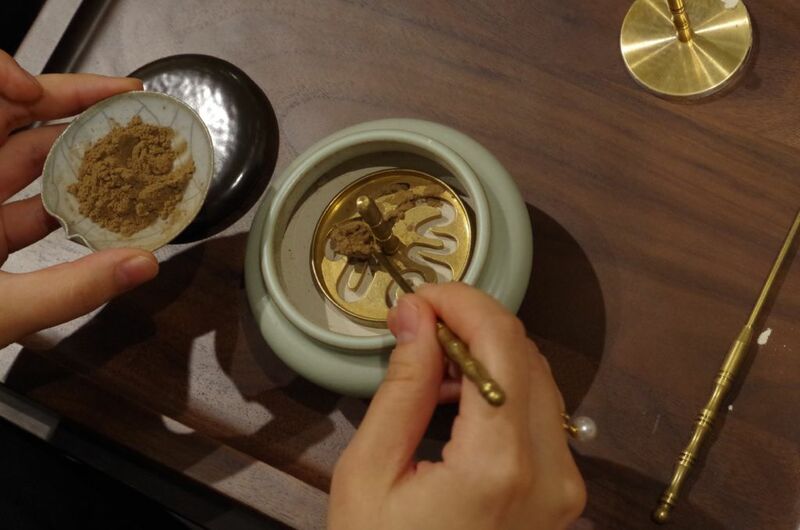 Mr. Huang Yi, Curator of the Tianjin Agalloch Eaglewood Art Museum, first initiated around 20 participants to the history and the uses of incense, considered as an important element for trade and cultural exchange along the Silk Road. 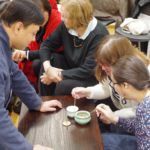 The participants also enjoyed a practical workshop, creating their own incense chip and burning it, releasing at the same time a sweet perfume all around the room. 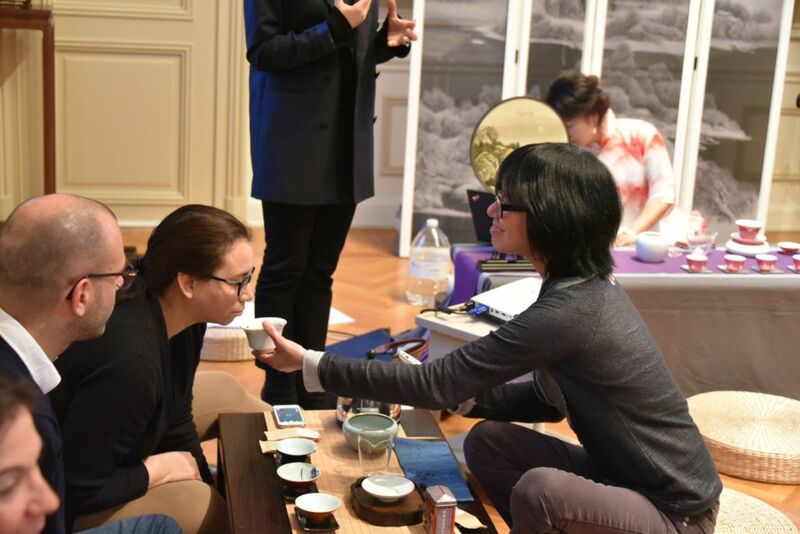 The next day, the lecture and workshop of “The Overflowing Fragrance of Tea” on Chinese tea was led by the well-known tea artist Ms. Zhao Jing. 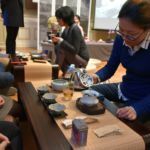 Around 40 participants were lucky enough to not only learn the history and evolvement of tea, but also to sharpen their knowledge of six different tea families and their beneficial properties. 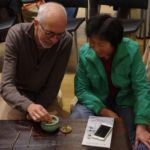 They also got hands-on to making their own pots of tea following the instruction of an expert. To conclude the activities, Mr. Qiu Ting, Professor at the Landscape Painting Department of the Chinese Central Academy of Fine Arts, held a special cultural lecture under the theme of landscape paintings. Using his own appreciation of the classic Chinese and western landscape works and music, combined with his inner journey of decades of artistic creation, Professor Qiu enlightened the audience on how artists convey their inner feelings with ink and express such a poetic mood without any words. Discover in the photo gallery the pictures of the opening and the different activities! The exhibition “In pursuit of Harmony” will be hosted by the China Cultural Center in Brussels until November 29th, 2017. 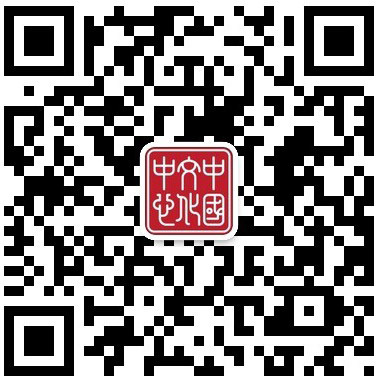 The exhibition is accessible for free from Monday to Friday according to the opening hours of the China Cultural Center.